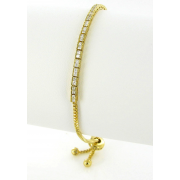 Add a touch of simple sparkle to your wrist with this stunning bracelet from Nour London. 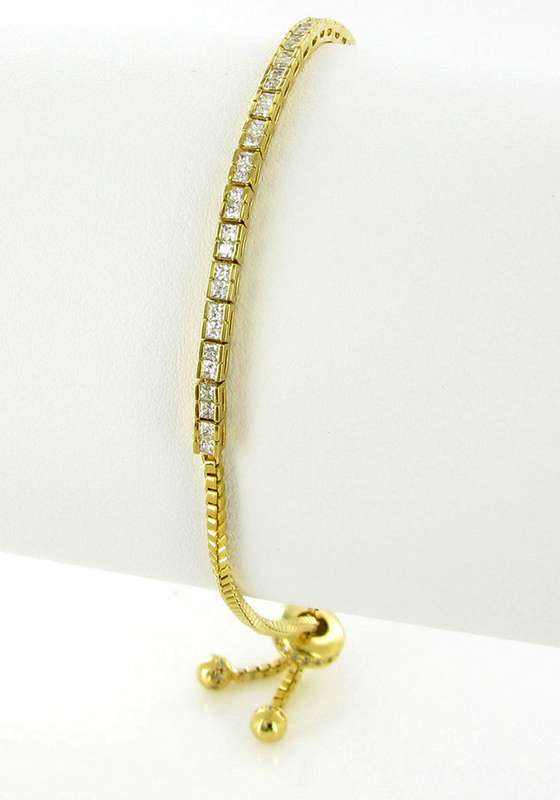 This gold plated bracelet has an adjustable closure and features a row of square cut crystals. An elegant piece of jewellery with a sophisticated look.